Are you seeking the best fishing on the coast? We can set you up with the best fishing trip based on your budget. We know what each area on Vancouver Island produces. Some areas are convenient and still have very good fishing. Other areas are harder to get to, cost more but produce slightly larger fish and also give you a better opportunity at getting a 50lb Chinook, we can help you do that. 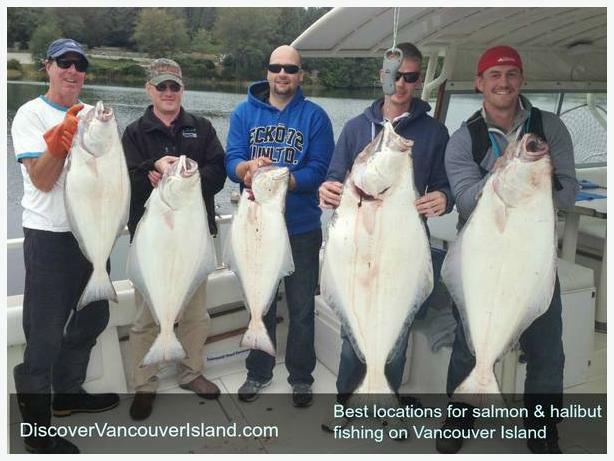 Check out http://www.discovervancouverisland.com/guided-fishing-trips/ to 2-6 day packages including fishing, vacuum packing and freezing, accommodation or all inclusive trips that include everything including flights in. Fishing happens all winter out of Victoria and then guides start fishing Ucluelet in March and Haida Gwaii in May. All of these places produce both Chinook salmon and Halibut. Come out for your seafood feast. For things to do in Victoria check out VictoriaBC.ca.